If you like to see curious things of the animal kingdom, you can not miss the exhibition Poisoned, the mysteries of poison. You will visit it until March 1th, 2014 at the Museum Blau (Natural Science Museum of Barcelona). The exhibition is devoted to animal poisons. Poisons were terrified and fascinated humans from the beginning because they are a danger hidden from view and sometimes incomprehensible. Being the victim of a large predator is much different than it was a mysterious little creature endowed with lethal power. 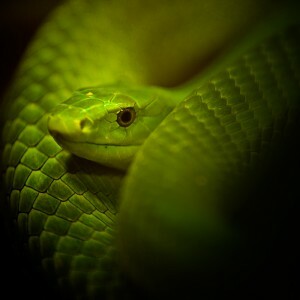 Poisoned, the mysteries of poison brings us into the world of poison in nature with 50 live animals like tarantulas, snakes and frogs a significant selection of plants, mushrooms and minerals. The exhibition shows the function and uses of poison, demystifies beliefs and reveals unknown facets of this toxic substance capable of killing a man in two minutes, but also be useful in treating diseases like Alzheimer’s or epilepsy.